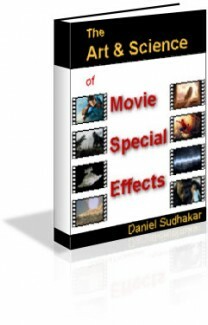 Now that you have learnt so much about Special Effects, its time you started creating your own special effects films. To do that, you would need a Special Effects & Animation Studio. We will see how you go about setting up one at home. Not too long ago, almost all the special effects jobs were done on extremely high-end workstations that used to cost hundreds of thousands of dollars. With the entry of the Personal Computer into the entertainment arena, things have begun to change drastically. A PC with good specifications can now deliver high quality imagery that was once the exclusive domain of those high-end workstations. The term PC here refers to both the IBM PC (and compatibles) as well as the Apple Mac. Another big advantage of the PC invasion into this industry is the drastic reduction in costs. PCs cost a fraction of high-end workstations. The entire PC platform is a much more affordable environment which makes things all the more attractive. Moreover, since PCs have a larger user base, finding skilled personnel for the job is a whole lot easier now. With the entire industry shifting its hardware infrastructure, almost all the graphics software giants have also ported their products to the PC platform. Nowadays there is hardly a graphics application that cannot be run on a PC. As a result of all these interesting developments, setting up a full-fledged Special Effects & Animation Studio is well within the reach of small companies and even individuals as long as they have the technical know-how. Cost is no longer an inhibiting factor.